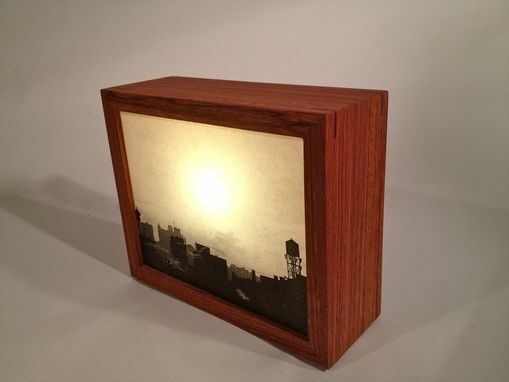 This beautiful light box is crafted from Indian Rosewood and inlaid with Wenge key spline miters. 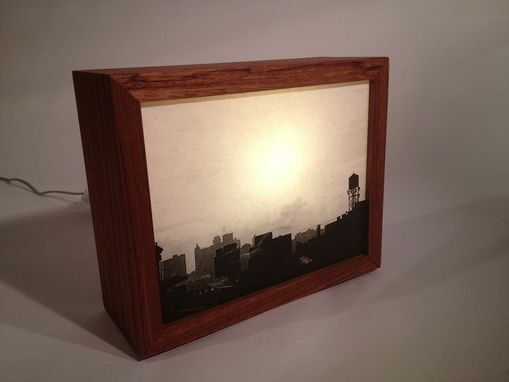 The skyline of Brooklyn adorns the front and the back features a shattered light buld. 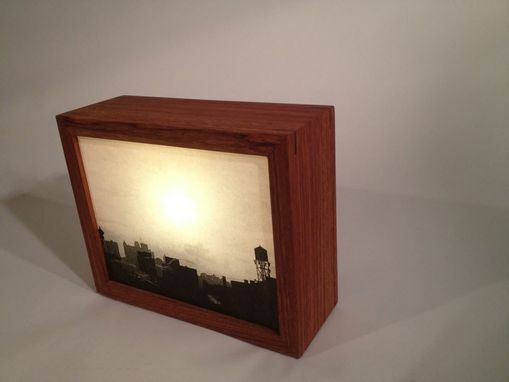 These light boxes are available in a variety of materials and can be made with almost any image.